To the Main Page "Mathematische Basteleien"
>"something that sends rays to all sides"
>a "thing with regular points around". (Brockhaus 1975). - I mean this star. 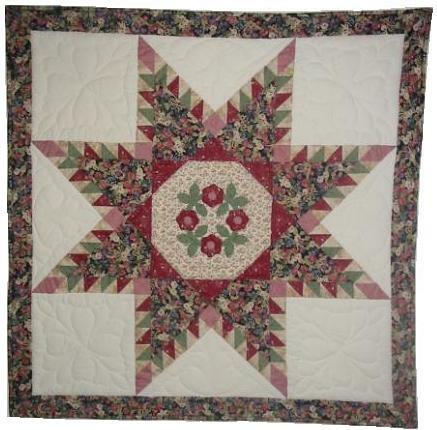 The star above is a regular hexagon with six equilateral triangles on its sides. You can define: A star is a figure which generally consists of a convex polygon with triangles on its sides. The triangles are called points. There are different ways of making a star. You take a regular polygon and set equilateral triangles on the sides. This procedure doesn't lead to a star, if you start with a triangle. You take a regular polygon and reflect the basic triangles of the polygons on a side. This procedure doesn't lead to a star, if you start with a triangle or a square. You take a regular polygon with n corners and turn it around 180/n. Origin and image together form a star. Give a polygon and draw special diagonals. They form stars. Regular polygons form stars with rich symmetries. The pentagram and the hexgram are the simlest examples. You take a regular polygon and set isosceles triangles on the sides, which have a large height compared with the basic side. The polygon, which has the points, can degenerate into a circle (far right). ................ Handsome stars develop. Obviously you expect that stars must have "pointed points". You take any polygon and set arbitrary triangles on the sides. ... ... 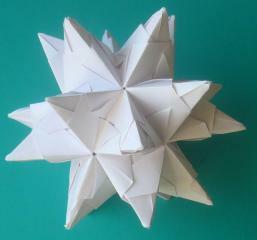 The star of the German magazine "Stern" was a model of this star. 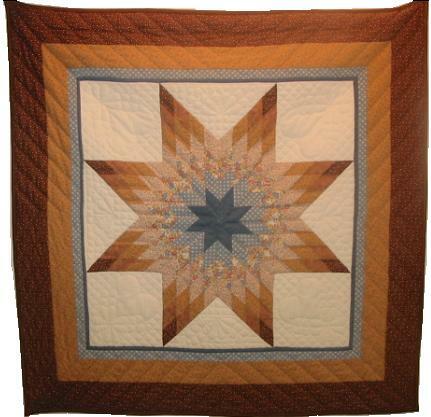 The star is a favourite topic for many people doing handicrafts with innumerable variations. I introduce the following two stars. The first eight pointed star is a silhouette. ... ... You fold a square sheet of paper again and again along the red line, until fig.5 develops. Then you cut off pieces along the blue lines with strong kitchen scissors. Fig.6 develops. While unfolding you get the star. This star can variously be modified. You don't only cut out a wedge, but make other forms and leave bars. You can also use black paper and close the holes with coulored paper. Then window pictures develop. 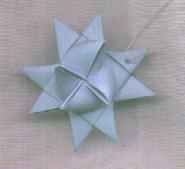 The second star is Froebel's star, which is made from four strips. This is explained on another site of my homepage. The Pentagram certainly is "the star" among the stars. It is also called Drudenfuß (German) or witch star. ... ... It develops if you draw the diagonals (black) inside a regular pentagram. ... ... The central angle (blue) in the central triangle ABC of the regular pentagon is 360°/5 = 72°. So the two base angles are 54°. The interior angle of the pentagon is 108°. ... ... Assuming that the small pentagon inside the pentagram also is regular, the marked orange angle is 108°. The point is an isosceles 72-36-72-triangle. There is a second smaller yellow 72-36-72-triangle lying at the bottom. ... ... Both yellow triangles are similar to each other because of the corresponding same angles. You'll find the formulas in the next chapter. .. .... It is PQ:QS=QS:QR or a:x=x:(a-x) in the yellow triangles. This equation can be related to the line PQ and the point R on the line. The whole distance is to the larger section as this larger section to the smaller one. You can also say: The larger section is the (golden) mean of the whole and the smaller section, x=sqr[a(a-x)] in formula. You can say: In a regular pentagon the diagonals cut each other in a golden ratio. You can find the ratio from the proportion a:x=x:(a-x). The product equation is a(a x)=x², so x²+ax-a²=0. If you solve this quadratic equation, you get the positive solution x:a =1/2*sqr(5)-1/2. This is about 0.62. The well known German TV journalist Professor Heinz Haber described the golden ratio as follows in the 1960s. .. .... There are a side board and a vase with flowers in an experimental room. Test subjects had to put the vase on the cabinet in such a way so that it looks nice. Only a few people placed it in the centre. That looks boring. Most people put the vase slightly on the right or on the left as shown in the picture. The result was that the width of the cabinet was divided in the golden ratio. Perhaps this sense of beauty is given by education and belongs to our western culture. My contribution can be: I saw a pentagram at the door of the combined horse/cow stable of a farm in the 1950s. It should keep away diseases from the cattle. ... ... You can draw the pentagram or stars with 7, 9... points with free hand after some practise without lifting the pencil. I impressed many people by this :-). A second star worth being described is the hexagram. It is also called David's star or Salomon's seal. ... ... The hexagram consists of 12 equilateral triangles and therefore belongs to the Polyiamonds. ... ... You can also regard the hexagram as a figure, which is formed by two equilateral triangles. One triangle stands on its head. In former times Salmiakpastillen (bitter-tasting lozenge) were in fashion. You moistened the (clean?) back of your hand and form a star from six pastilles on it. Then you licked the pastilles. You can design 3d stars of regular solids. You put a pyramid on each side. 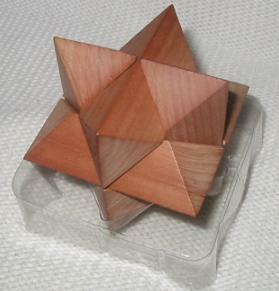 Here is an octahedron with eight tetrahedra as an example. Those who know the 3d view can see the star three-dimensional. ... ... 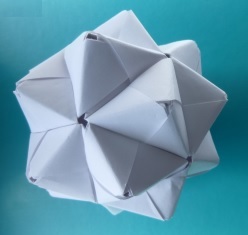 If you put some regular pentagonal pyramids on the sides of a dodecahedron and tetrahedra on a icosahedron, you get the "Small Stellated Dodecahedron" and the "Great Stellated Dodecahedron" (Kepler). Poinsot discovered the two "Poinsot polyhedra", the "Great Dodecahedron" and the "Great Icosahedron". 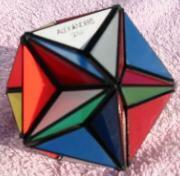 The Great Dodecahedron is well known as Alexander's Star (on the left), a puzzle belonging to the Rubik's cube family. You find more about these interesting solids on the internet pages below. There are three-dimensional stars, which hang in the hall of many houses in December. They have a bulb in the centre so they shine from inside. They are called Sternlampions (=star Chinese lanterns) in German and Moravian stars in English. Among them the "Original Herrnhuter Weihnachtsstern" (Herrnhut Star) is known all over the world. Many nations have one or several stars in their national flag. Here is a small choice. Here in Lippe, a district of North Rhine-Westphalia there are many half-timbered houses with a big hall, so that horse and carriage could drive in in former times. Usually there is an inscription outside above the hall with the star (here seven-pointed) of "Burg Sternberg" on one side and on the other side the "lippische Rose" similar to a star. .......... House of "Gut Hovedissen" at Leopoldshöhe, Kreis Lippe, as an example. A curiosity is in the coat of arms of the town Barntrup/Lippe (on the right). "Der halbe Stern erinnert an die Gründung der Stadt durch die Grafen zu Sternberg. Die halbe lippische Rose wurde von der Stadt nach dem Übergang der Grafschaft Sternberg an die Herrschaft Lippe in das städtische Siegel übernommen." ... ... The Lippische Rose is also (although small) in the flag of the State North Rhine-Westphalia. This was a consequence of the connection of the state Lippe to NRW after World War II.